Lifetime Compost Tumbler - 60028 65 Gallon Capacity. 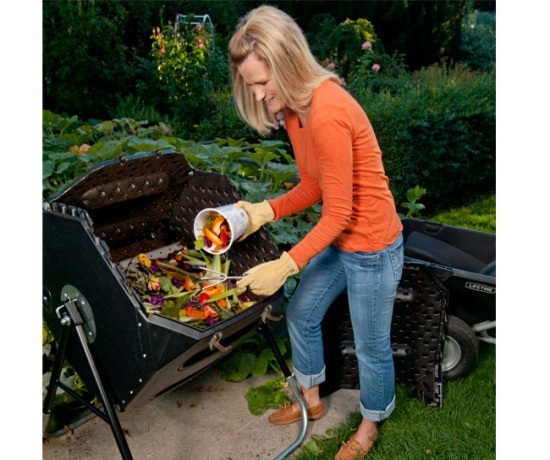 Free shipping for this compost tumbler when shipped to the lower 48 United States. 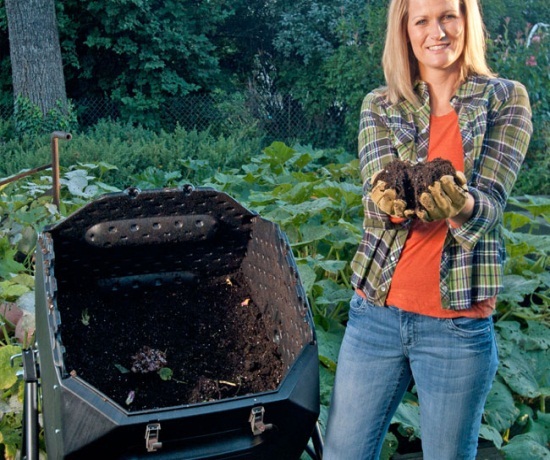 Create your own mulch and fertilizer with this 65 gallon Lifetime compost tumbler. The model 60028 features a polyethylene plastic container and a metal frame. The container opens with a large lid that allows you to easily fill and remove the contents. Comes with a 5-year warranty from Lifetime Products. Container material of construction: polyethylene plastic. Extra-large removable lid allows easy filling and emptying of contents. Polyethylene plastic will not fade, crack, or peel in the sunlight. Powder-coated steel parts help resist rusting. Container capacity: 65 gallons (8.3 cubic feet). This is a great quality perfect size tumbler for a medium to large backyard in the city of Los Angeles. It is easy to put the material in and turn. It is sturdy and good looking. My only negative comment is the assembly. It is very difficult to assemble without someone who is handy and familiar with reading complicated instructions. It should have more drilled holes in the plastic and metal rather than having to drill yourself. Once assembled (two people, 3+hours) it is great. I have another compost bin that I have had for 3 more years then this one, the other bin is still in perfect condition, this bin I have had 2 years and it is falling apart. 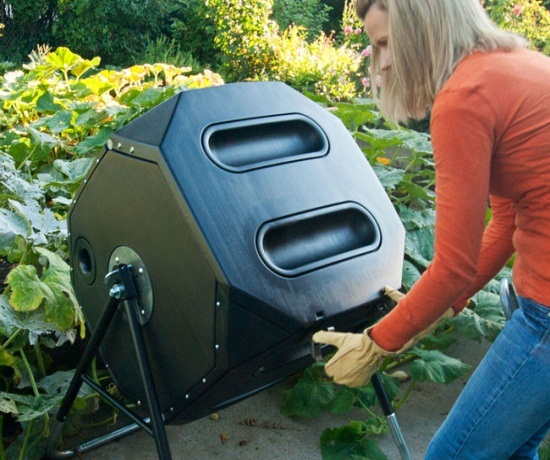 I would not recommend this composter. I been using this for a year ... It is working out great. Great looking compost every 2 weeks during summer. Q: Is this product made of recycled plastic? A: It is not made of recycled plastic. Q: How much can this hold? 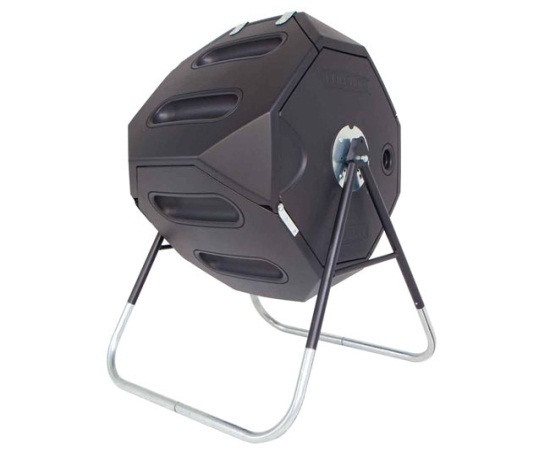 A: It can hold 65 gallons of organic material. Dimensions: 29" x 27" x 13"